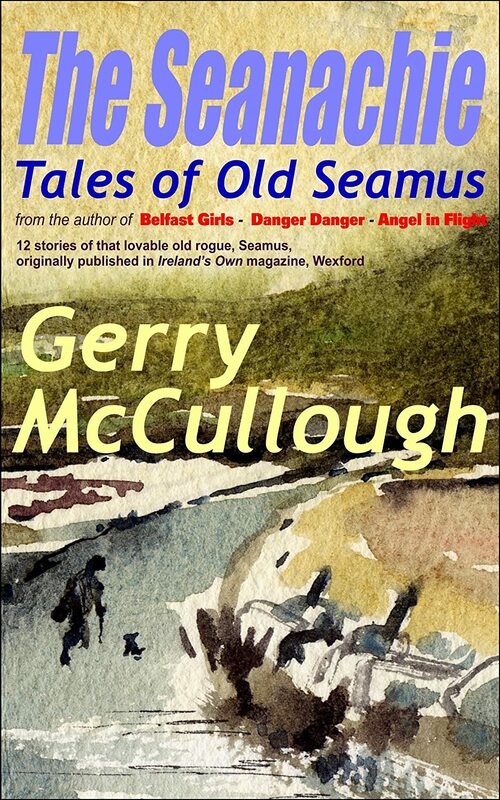 Today I'm thrilled to introduce Gerry McCullough, author of several best-selling books including Belfast Girls. Having recently read and reviewed (and loved!) Belfast Girls, I couldn't wait to chat with Gerry about it. Please pull up a seat, grab a cup of coffee (or tea), and enjoy! Welcome, Gerry. It's a huge honor to have you here. Can you tell us a little about yourself? May I just begin by thanking you for inviting me to come on your marvelous blog, Tricia? It’s so nice to be here! And now about me. I was born and brought up in Belfast, and since marrying, rather young, I live within a dozen miles of the city, which I still love. I have four children, two boys and two girls, all grown and flown. The empty nest is a sad thing to have, but there is an upside, in that my husband Raymond and I now have a lot of freedom. When I was a child, all my family, mother, father and three sisters, loved to read, so it was natural that I grew up loving to read as well. Out of this came a desire to write, and to produce the sort of book I enjoyed. I began when I was around eight or nine, copying my favourite writers. Then I grew out of that and began to develop a style of my own. I just finished reading Belfast Girls, and I’m sure you can tell from my review that I absolutely loved it. Please tell my readers a little bit about the story and how you came up with the idea for the book? I’m so glad you enjoyed the book, Tricia. 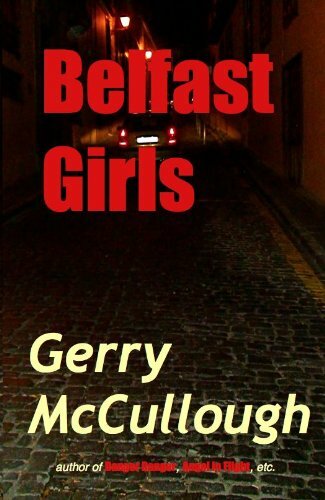 Belfast Girls first began as a book set during the recent Northern Irish Troubles. I wanted to write about three girls from different religious backgrounds who were good friends in spite of that. But I didn’t want to preach – I wanted my story to be fun, and exciting, for the reader. No one wanted to publish a book about the Troubles at that time, although things have changed since and the subject has become more attractive, it seems. I put the book away, then a few years later I brought it out and completely rewrote it as a post conflict book, about the new Belfast of wealth, fashion, drugs and gang warfare. And this time, a publisher liked it! Are any of the characters in Belfast Girls based on people you’ve known? I suppose every writer bases his or her characters on themselves, or on people they know. In Belfast Girls, all three of the girls have a little of me in them. Sheila, like me, thought of herself as ugly, as a child – then she grew up and found that others thought differently. Phil has a lot of me in her too, and Mary’s spiritual experience mirrors my own. The men are less like me and more like people I’ve known, although John has some of my own hang ups, which he later grows out of. Was there a character (or characters) who was more difficult to write than the others? Do you know, I don’t think there was, Tricia. I always find characters easy to write about. I feel as if I know them, and their lives and experiences seem to flow as I think about them. Plots are another matter! I have to think hard to get my plots right. I was struck by the enduring friendship between the girls in the story. Despite the tremendous growth they each undergo, there’s still something special that binds them together, even when it’s been months since they’ve been together. What is it that keeps them coming back to each other, and how would their lives be different if they hadn’t kept up their friendship? I think there’s something special about people we’ve known since our childhood. It isn’t always easy to keep up such relationships. Sheila, Phil and Mary manage to do it, perhaps because they have lived together through such hard times. They all benefit from the friendship. Mary is able to help Phil when Phil goes to prison. Mind you, if it hadn’t been for Sheila, Phil wouldn’t have been in that particular situation! Mary also helps to bring Sheila and John together. And Sheila, in turn, is a great help to Mary earlier in the book. Real friends always help each other. Is there a particular moral or lesson you’d like readers to take with them after reading Belfast Girls? Perhaps I’d like them to realize how false the media view is, that all Catholics and Protestants in Northern Ireland hate each other. And also, how important friendship is. But as I said above, I’m not in the business of preaching or teaching. I just want people to read my books and enjoy them. If you had to pick a favorite out of all your books, which one would you pick? Why? This is such a hard question. I love Belfast Girls because it has so much of me in it. 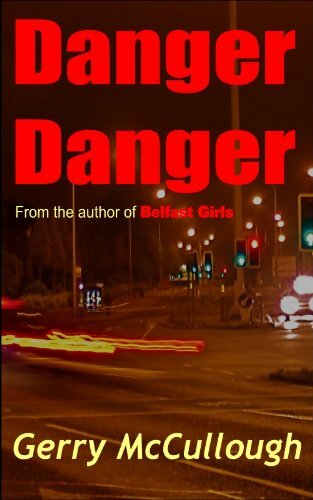 But my second book, Danger Danger, is one I particularly like, because I personally think it’s better written, with a tighter plot, which I had to work hard to achieve; and the girls, who are identical twins, had to be very similar and yet individual. That wasn’t easy, but I think I managed it. Their characters, and stories, have a lot of depth and the girls grow up during the course of the book. 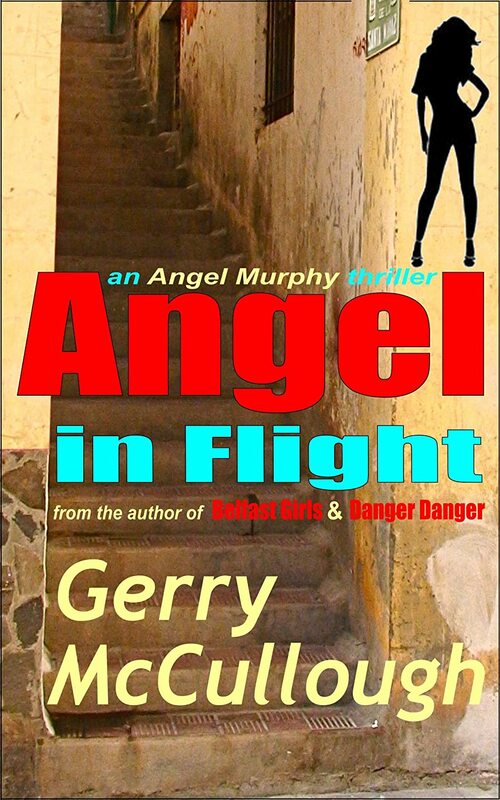 Then there’s Angel Murphy, my ‘strong-minded Belfast Girl.’ I’ve written two books about Angel, Angel in Flight and Angel in Belfast, and I intend to write more. I really like these books because Angel, although she’d gone through so much, coming out of an abusive marriage, is not a victim or a wimp and doesn’t need to be rescued – she does any rescuing that’s necessary! Currently I’m writing a book set back before and after the First World War, and the Irish Troubles of those days. This started off as a short story; then, on the advice of an interested publisher, I extended it to 25,000 words and got an editor to work on it for me. I’m now extending it further, to novel length. The working title is Johnny McClintock’s War, and its focus is on Johnny’s internal struggle to maintain his faith in the middle of external conflict of different sorts. I hope it’s going to be an important book, but who can say until it’s finished? Others may think differently! Who am I to advise others? But for what it’s worth, here goes! Write what you want to write and what you enjoy writing. Don’t try to copy your favourite writers, if you can help it. Try to write every day, even if it’s only a bit. Don’t give up. All the well known writers have had many rejections – P. G. Wodehouse said he could have papered his room in rejection letters. Maybe you won’t have to worry about rejection letters – nowadays, if you want to, and if you’re sure you’ve edited your book enough, it’s easy to publish online, both as a Print On Demand paperback and in eBook format. So writers are no longer dependent on traditional publishers. But, lastly, you need to realize that things have changed in another way – nowadays, writers have to do most of their own publicity, whether they have a publisher or not. That’s hard, but it’s essential. And all the very best with your efforts! Thanks a lot for having me on your blog, Tricia! I hope your followers enjoy the interview. It's always good to learn a little more about an author, and doubly so when you consider that author to be a very special friend. Every success to you Gerry. Another terrific interview, Gerry! And all aspiring authors should take heed to the advice you gave at the end. The pleasure is all mine, Gerry. Thanks so much for taking the time to answer my questions. I enjoyed learning more about your writing process and what goes into the making of one of your books. Next, I'm going to read Danger Danger. Thanks for stopping by, John. You're lucky to call Gerry a special friend and she's lucky to have you. Thanks for stopping by, Tom. Gerry's advice is spot on. 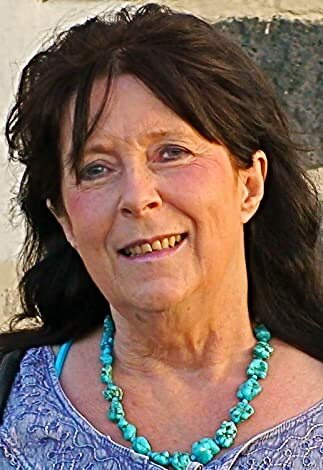 Aspiring authors would do well to read Gerry's books and follow her career. They could learn a lot. Great interview Gerry and Tricia, I like to read about my fellow authors and find out what inspired their books. That's great, Tricia! I really hope you enjoy it! Excellent interview! I certainly admire your tenacity. John, I really appreciate your kind comment! Wow, thanks Tom and Tricia! Most of the advice I gave is what I've learnt from my fellow writers, in fact. Thanks a lot for reading tis and commenting, Juliet! Glad you enjoyed it! 'reading this', I meant to say! Thanks, Joe! I don't think anyone gets anywhere in this world, and especially in the writing field, without perseverance! Ashen, I'm so glad you enjoyed it. Tricia's questions were what really made it interesting – she drew some things out of me I might not have shared otherwise.